Varanasi : Sonia Gandhi was on Tuesday airlifted from Varanasi to New Delhi after she reported uneasiness while holding a mega rally in Modi’s turf. After a small diagnosis it was revealed that she was suffering from viral fever. As per latest reports, doctors have claimed that Sonia Gandhi is completely out of danger and is recovering well. The Congress President Sonia Gandhi was in Varanasi for a road show to woo people ahead of upcoming elections in Uttar Pradesh. Raj Babbar and Shiela Dikshit were other top leaders who were present during the road show. Congress vice President Sonia Gandhi airlifted from Varanasi to New Delhi due to viral fever. Vice President and her son Rahul Gandhi went with air ambulance to pick her up. She was rushed to Shri Gangaram hospital soon after her plane landed in Delhi. Doctors have claimed that she is out of danger and will get normal in few days. 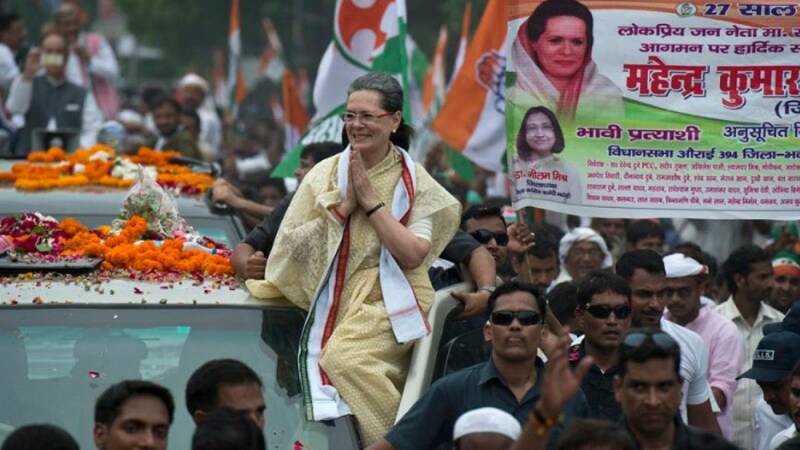 Sonia Gandhi was in Varanasi to begin campaign for 2017 Assembly Elections in Uttar Pradesh. Prime Minister Narendra Modi also wished her speedy recovery and good health.